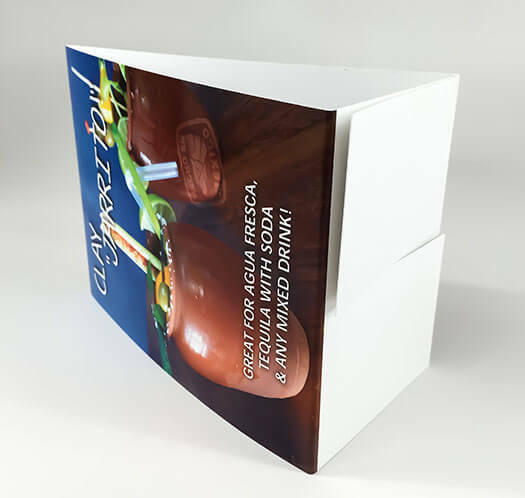 Printed on heavy 16 pt paper, a substantial paper weight assuring that your table tents won't easily fall over. These can be coated with either a Matte aqueous coating or gloss UV coating. The matte finish creates a softer appeal and no glare, so you might want to consider using this outdoors. The UV coating heightens the color and gives off a high shine, making it the better choice for indoor environments. 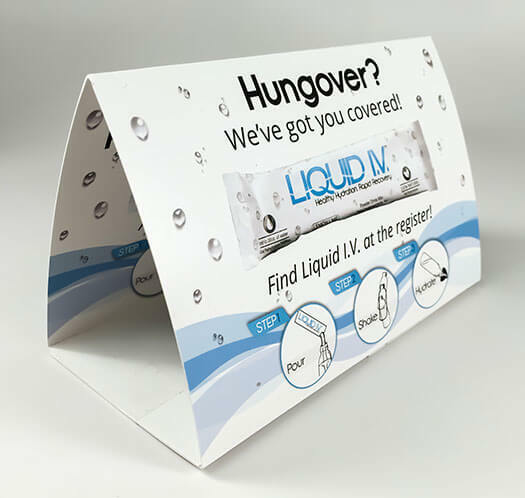 Table tents are die scored for easy folding and die cut with interlocking slits on both ends for effortless assembly. Assembly is needed since these cards are sent out flat to save you space and cost on shipping. Table tents are commonly used to promote "Happy Hour Specials" or to get you guiltily thinking about dessert throughout the entire dinner course. However, they are not limited to restaurants. They are also used in banks, hotels, trade shows, at check outs, and company events. The beauty is that you can design them to use them however you want to. Be resourceful of real-estate available to you. When assembled, table tents have two clearly visible sides. Consider setting up your files to where each side displays different content. 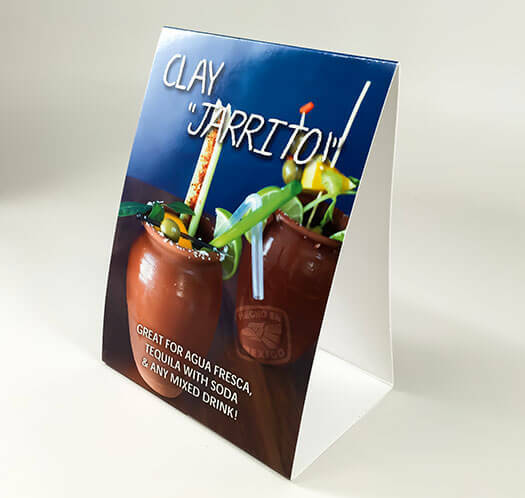 Table tents--truly a "two-birds with one stone" type of product. Not all projects are created equal. 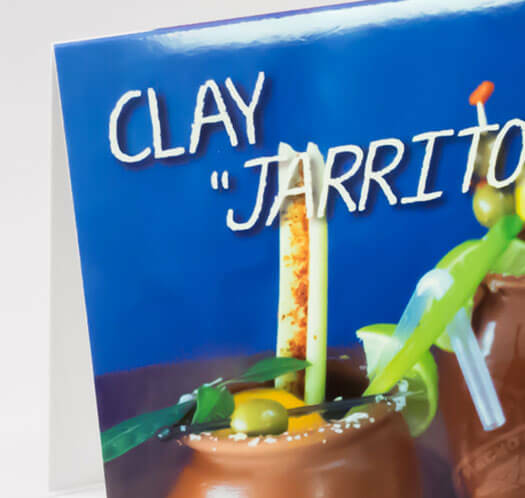 For a one-of-a-kind catalog made just for you, contact us speak with one of our product specialists.